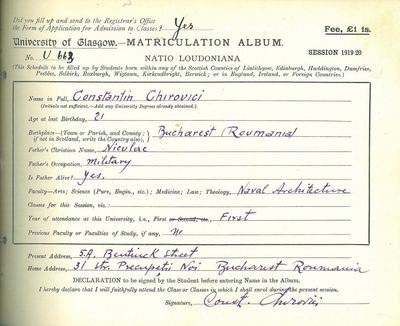 Romania’s connections with the University of Glasgow began in the early twentieth century, shortly after Romanian independence in 1878. 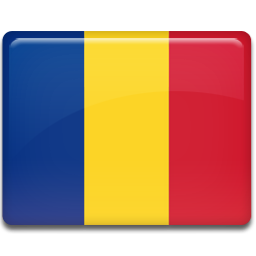 In the decades following independence, until the instauration of successive dictatorial regimes from the late 1930s, Romania enjoyed a period of rapid modernisation and prosperity. Reflecting this age of modernity were the first students to attend the University from Romania, Pandele Antonescu and Jack Corber, who came in 1904 both to study Naval Architecture. After great struggles and difficulties in asserting its position as a member of the Central Powers in the First World War, the 1920s proved to be one of the most prosperous decades in Romanian history. The openness of the country and its international recognition as the leading power of the Balkans can be noticed even in the number of students who attended the University of Glasgow during this period. More than half of the first Romanians who enrolled at the University enrolled during this period. The modernisation of Romania and the emphasis that was given to scientific and technological development is also mirrored by the students’ academic interests, the majority choosing to study degrees such as Science and Engineering or Naval Architecture. 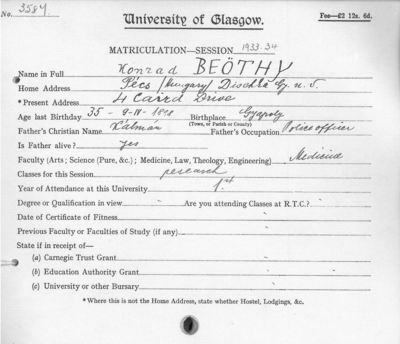 Although not the first Romanian to enroll at the University, Sergiu Pascanu is the first one to graduate in 1921 with a BSc in Science and Engineering. The second wave of Romanians at Glasgow comes in the mid to late 1930s. Unlike their predecessors, who attended a foreign university in order to return to their home country and apply their knowledge in its development, the students of the ‘30s were largely people displaced by political and ethnic tensions resulting from the succeeding dictatorial regimes. With most of the Romanian students unable to return to Romania, they continued their lives and livelihoods in other countries such as the UK, US or Canada, examples include the Louvish family and Zevedei Barbu, Jack Chernus and Esfira Adlerova. The area of study among the students also becomes broader, although degrees in the sciences were still common. 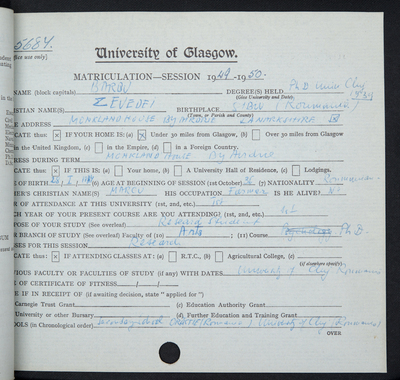 After the hiatus produced by the communist regime, the connections between the University of Glasgow and Romania were reestablished and a new generation of students chose to complete their academic profile with courses taken at the University. * This is the earliest graduate associated with Romania that we have found. There may have been others we haven't found yet, or who studied at the University but didn't graduate.